There’s one winter pastime we can’t live without—downhill powder play. 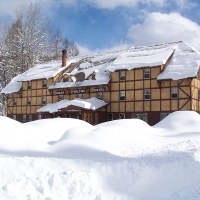 Discover a skier’s paradise in Glacier Country, with seven well-rounded, full-service downhill ski areas offering more than 23 acres of skiable terrain per rider, affordable lift tickets, virtually no lift lines and over 300 inches of yearly snowfall. Plus, our backcountry is epic and our ski towns will knock your ski socks right off with their charm. Also, the views are incredible. 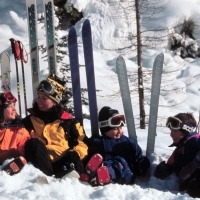 The notable world-class Whitefish Mountain Resort has been one of America's favorite ski resorts since 1947. 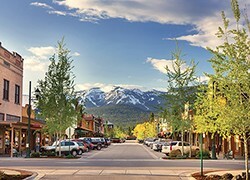 Located on Big Mountain above the historic railroad town of Whitefish, the resort has gained notoriety for its laidback vibe, excellent skiing and summer recreation. 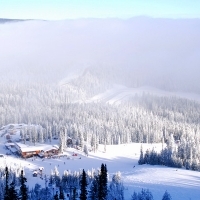 Each year, Whitefish Mountain Resort receives 300+ inches of snow on its 3,000+ acres of skiable terrain. 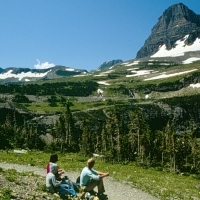 The summit also offers breathtaking views of Glacier National Park and the expansive Flathead Valley. 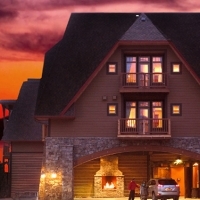 A full-service resort, it offers a wide range of amenities, including dining, lodging, shopping, entertainment and family-friendly activities. 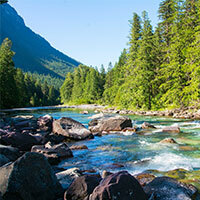 Plus, it’s only a short 20-minute drive from Glacier Park International Airport. 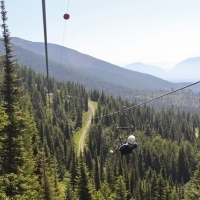 Whitefish Mountain Resort is 8 miles north of Whitefish and 23 miles north of Kalispell. Glacier Park International Airport is served daily by flights from Salt Lake City (Delta), Minneapolis (Delta), Seattle (Alaska/Horizon) and Denver (United), as well as a seasonal winter direct flight from Chicago (United) and twice-weekly non-stop service to Las Vegas. Shuttle service and car rentals are available at the airport. The historic Whitefish Depot is served daily by rail (Amtrak's Empire Builder) from Seattle, Portland, Minneapolis and Chicago, as well as points in between. 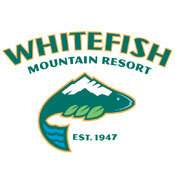 Whitefish Mountain Resort ranked in the top 20 of SKI magazine's annual reader survey. Located in northwest Montana, Turner Mountain offers excellent snow conditions, wide-open slopes, beautiful scenery, no crowds and affordable lift tickets. Combine all that with a vertical drop of 2,110 feet and 25 named runs and you have a successful day on the slopes. Another bonus: you can be king of the hill. 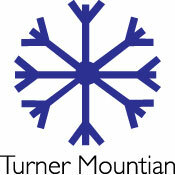 Turner Mountain is available for full-day (or more) rentals. 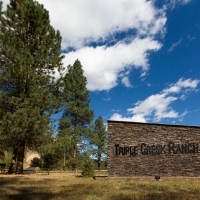 Turner Mountain is located 22 miles north of Libby on State Highway 567 (Pipe Creek Road). 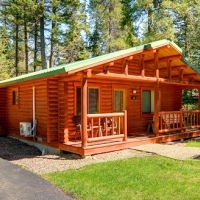 Libby is serviced by Amtrak's Empire Builder and commercial flights are available into Glacier International Airport and Spokane, WA. 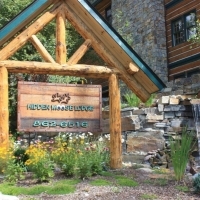 Turner Mountain was named "the ski area with the friendliest locals" in Skiing magazine's 2010 Resort Awards. 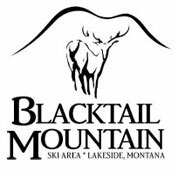 With 250 inches of snow each year, Blacktail Mountain is an ideal family-friendly ski destination. 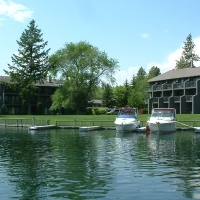 Ski its light, dry powder and take in the brilliant views of Flathead Lake, Glacier National Park and the Mission Mountains. 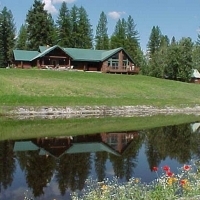 Blacktail Mountain is 45 minutes from downtown Kalispell and two hours north of Missoula. When traveling from Highway 93 south, turn west at Blacktail Grocery in Lakeside. Then follow Blacktail Road 14 miles to the ski area. Commercial flights are available into Glacier Park International Airport and Missoula International Airport, while Amtrak's Empire Builder stops in Whitefish. Blacktail Mountain is an upside-down hill, meaning you ski down to the bottom before riding the chair. Located on the Montana/Idaho border, the snow comes early and in full force to Lookout Pass, dropping around 400 inches per year. In operation since 1935, Lookout Pass has 540 skiable acres and 34 named runs. It also has two terrain parks with huge banks, mounds, launches, rails and an 1,111-foot quarter pipe. 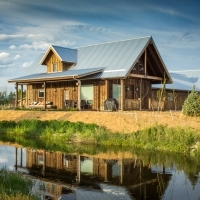 The full-service lodge offers food, drinks, rentals and lessons. Lookout Pass is located 50 feet from Interstate 90 on the Idaho/Montana border at Exit 0 (zero), just 30 miles from St. Regis (101 miles from Missoula). From Missoula, head west on I-90 toward Idaho. There is a sign showing the off-ramp for Lookout Pass shortly before you get to the Idaho border. The parking lot is 200 yards from the I-90 off-ramp. It is 100 miles to Lookout from downtown Missoula. 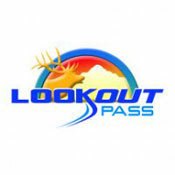 Lookout Pass is open every Wednesday in January and February, providing skiers and snowboarders with more access to fresh snow. Lost Trail Powder Mountain straddles the Montana/Idaho border on top of the Continental Divide. 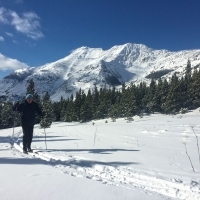 Well-known for its reliable 300 inches of snowfall each year, Lost Trail offers consistently good snow conditions in the breathtaking Bitterroot Range of the Northern Rockies. 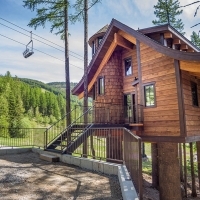 Lost Trail is family-owned and operated and offers ample room for all types of skiers and boarders, whether you're a beginner or novice. Lost Trail Powder Mountain is located 90 miles south of Missoula on U.S. Highway 93. Commercial flights are available into Missoula International Airport. Car rentals are available at the airport. 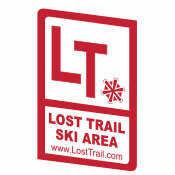 Lost Trail has two terrain parks, ideal for tricks, jumps and big air. 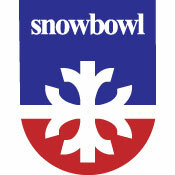 Located minutes from downtown Missoula, Snowbowl is a local favorite. With deep, powdery bowls and 2,600 feet of continuous vertical drop, Snowbowl is an extremist's dream, while still offering plenty of runs for all skill levels. 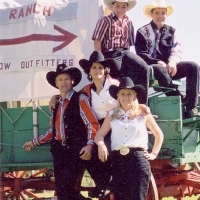 Montana Snowbowl is located 12 miles northwest of Missoula. From I-90, take Exit 101 (Reserve Street), turn north on Grant Creek Road, then left onto Snowbowl Road. Commercial flights are available into Missoula International Airport. Car rentals are available at the airport. Snowbowl is known just as much for its bloody marys as it is for its extreme skiing. One of the area’s best-kept secrets, Discovery offers an expert's brand of thrills at a local's hangout. The north-facing Limelight lift offers some of the steepest lift-served terrain in the region, while the variety of beginner and intermediate runs on the Anaconda and north-facing Granite lifts provide great skiing for all abilities. Easily reached from Missoula, Butte and Helena, Discovery offers beautiful views and uncrowded slopes with enough tree skiing, powder bowls, groomed trails and mogul runs for all skill levels. Discovery ski area is located 90 miles east of Missoula and 23 miles west of Anaconda at Georgetown Lake on the Pintler Scenic Route. From Missoula, take I-90 to Drummond, then State Highway 1 through Philipsburg and over Flint Creek Pass.